Walker & Dunlop, Inc.(NYSE: WD) announced today that it structured a $52,025,000 Freddie Mac Green UpSM loan for The Eleven Hundred Apartments, a 565-unit, Class B, garden-style apartment community in Sacramento, California. The Walker & Dunlop team was led by Senior Vice President, Mark Grace. Walker & Dunlop is an experienced green lender, having completed $1.4 billion in green financing in 2016. The team leveraged its deep understanding of Freddie Mac’s offerings to provide optimal loan terms and further savings to the borrower, OpenPath Investments (“OpenPath”). The 10-year loan was structured with five years of interest-only payments, a 75 percent loan to value, and a debt service coverage ratio of 1.25x. The Eleven Hundred Apartments was first constructed in 1961. Since 2015, the property has undergone extensive renovations, including over $6.5 million in improvements and repairs to common areas and the interiors of 535 units. The borrower plans to invest an additional $400,000 into the property, half of which will be allocated to green upgrades. Once the improvements are implemented, annual utilities savings will exceed $100,000, and the property will be certified by ENERGYSTAR®for Multifamily and the Environmental Protection Agency. The Eleven Hundred Apartments is bordered by 50+ year-old redwood and oak trees, and consists of 45 buildings. The unit offerings consist of townhouses, one-, two-, and three-bedrooms, as well as studios. 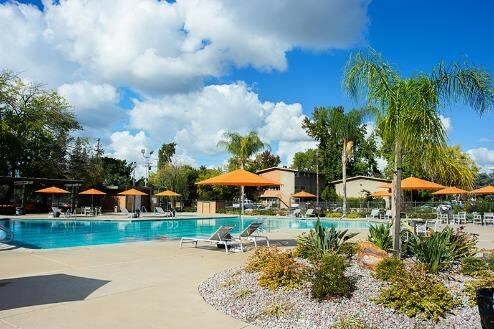 Amenities include a fitness center, playground, picnic and barbecue area, full-size basketball court, three lighted tennis courts, spa, a junior Olympic-size swimming pool, and one recreation-size swimming pool. The property is strategically located just six miles east of downtown Sacramento, within the Arden Arcade neighborhood, which offers access to exceptional schools, and many shopping, dining, and entertainment options. Major employers in the area include US Bank, Wells Fargo, the State of California, the Sacramento Bee newspaper, and California State University Sacramento. Also, nearby is the 32-mile American River Recreational Trail, where residents can enjoy jogging and bike paths, fishing, kayaking, canoeing, and rafting.